Apartamento duplex de luxo, o maior do edifício, com piscina comum e vistas panorâmicas sobre a baía de São Martinho.O apartamento foi mobilado e equipado a um excelente nível e beneficia de uma posição elevada com vistas deslumbrantes sobre o mar. Encontra-se apenas a alguns passos da praia e duma pequena área de recreação infantil.O apartamento está localizado no coração da cidade a poucos metros de uma grande diversidade de restaurantes, cafés e bares ao longo das ruas tradicionais de calçada portuguesa. A varanda privada no piso superior é excelente para momentos de convívio e comer fora. Um pátio privado adicional com acesso a partir do salão e cozinha dá um acesso direto à piscina (ótimo para famílias). Um nadador salvador encontra-se presente nos meses de verão na piscina e na praia.Para os momentos em que gostaria simplesmente ficar em casa e relaxar, há televisão por satélite com diversos canais internacionais e um leitor de DVD com mais de 20 DVDs adequados para todas as idades. Existe também wi-fi gratuito, rápido e ilimitado no apartamento para quem desejar ficar conectado. Achei o apartamento fantástico. Alias, actualmente, tenho uma fotografia a partir do mesmo como fotografia de fundo do meu facebook. Penso contudo, que a entrada da retaguarda, podia ser um pouco mais airosa. Talvez faça sentido investir um pouco no embelazamento e funcionalidade dessa zona. Conto contudo, repetir a experiência! Foram umas férias com muito descanso. A vista para a baía de São Martinho é divinal. A casa está muito bem localizada e muito bem equipada. Não precisa de levar nada, só boa disposição e desfrutar ao máximo. Irei voltar, recomendo, vale mesmo a pena. We booked this property in good faith for a relaxing golfing retreat, we managed to talk to the owner when booking the holiday and mentioned we had a bad experience the previous year with building work going on next door to the Vila we booked. He had the opportunity to inform us of the REDEVEOLPMENT PROJECT right in front of the pool in the photo which is 50 yards away from the flat. We found out the building work has been on going for 2 years so far and will probably continue for another 2 years before completion take place. He did not say a word about this. The works started from 8.30am until 5.00pm Monday - Friday so there was little peace and quiet during the day, there was the usual building noise which included drilling, angle grinder, radio, and hammering etc etc. This was very annoying especially not being told. We did complain after the 2nd day of Constant noise and was offered a refund for the days that we didn't use the flat, we didn't really have the time or inclination to start looking for alternative accommodation so decided to put up with the builders and stayed out of the flat during the day as much as possible. He obviously never told us as no one in there right mind would book a holiday with this to put up with. The Photos in the advert are a Misrepresentation of the property as there are no palm trees, it looks like these were cut down several years ago, there is also no power shower in the master bedroom as shown, this has been replaced with a basic low pressure shower. There are 2 toasters, both not working, one being quite dangerous as it fuses the flat when plugged in. There were no instructions for the TV, this also fused the flat when plugged in. Many of the tiles in the lounge area have come loose and could fall off at any time. The bath in the upstairs bathroom is rusty in places and needs attention. The toilet paper holders are loose and need tightening. The property is in a great location and the town itself is brilliant, we will probably return to the area but not to this flat. Please check the status of the building project before booking. I have reported our holiday to Home and Away Holiday Rentals. We’re very sorry and surprised to hear that you did not enjoy your stay in our apartment. Your main complaint is regarding the building works that are happening approximately 50 meters away from the property. Unfortunately, those works are entirely outside of our control. We didn’t see a need to inform you about the works as they are a fair distance away from the property and in spite of the works going on for over two years, until your visit we haven’t had one complaint about them. This is in spite of us managing 5 different apartments in that block and having managed literally hundreds of bookings in the block during the period whilst the works have been ongoing. It may be that you are exceptionally sensitive to noise or you may have raised the issue as you were hoping to receive a refund of 50% of the costs of your stay – a request that you put to us in a text message during your stay. When we spoke on the phone, I explained that I appreciated that you were upset by the noise and I gave you a very easy option to stay in a different property in Sao Martinho. 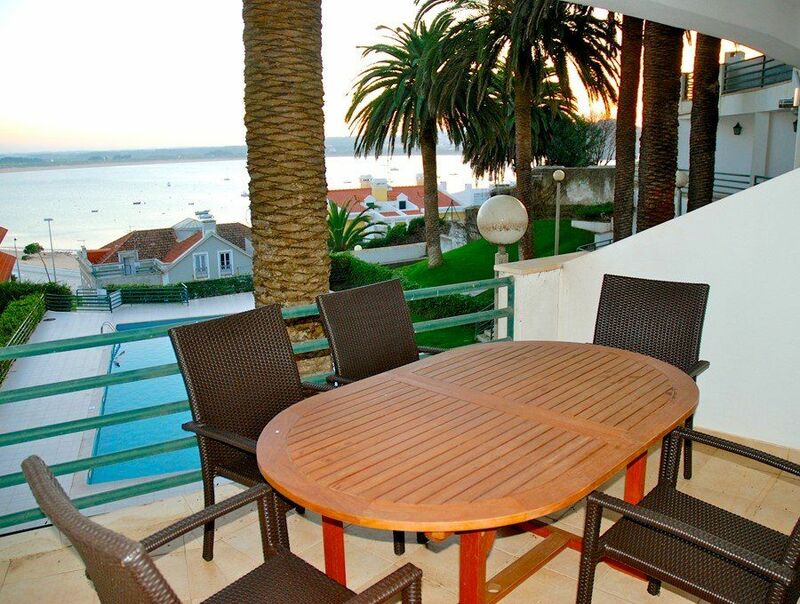 We manage bookings for over a hundred different properties in Sao Martinho so it would have been easy to relocate you to another apartment in a different location. At the time you expressed how much you liked our apartment, you then considered moving for two days before deciding that you would prefer to stay in the apartment and try to seek the 50% compensation that you felt would be fair. I explained to you that I had given you the option to stay in a different property but you had been reluctant to leave our apartment – I guess that you were really enjoying staying in the property. As a good will gesture I offered you compensation of 10% but of course you were hoping for more and I suppose that’s why you’ve posted your review that seems to contradict all of the other reviews and feedback given about the apartment. As a family of six our stay was perfect and we fell in love with Sao Martinho do Porto! Thank you so much! Glad you fell in love with Sao Martinho. It's a very special place. Jenny and the Rental Retreats team. Absolut positiv sind die Ausstattung der Küche, die wirklich keine Wünsche offen lässt, der Blick auf die Bucht, die Matratzen der Betten und der Pool! Wir waren zu viert da und haben abends viele Stunden mit dem Blick auf das Meer genossen. Perfekt ist auch die Lage der Wohnung bezogen auf die Infrastruktur: Einkaufsladen , Brot und nicht zuletzt das unmittelbar unter der Anlage gelegene Cafe Palmeira mit der Möglichkeit zu Galao und selbst gebackenen Kuchen (Sehr lecker vor allem der Rüblikuchen!). Gut war auch die unkomplizierte Schlüsselübergabe, da die Verwalter in unmittelbarer Nähe zur Wohnung erreichbar sind. Was gegen Ende der Saison passieren kann: das Schloss der Haupttüre war defekt, so dass wir nur über den Terrasseneingang in die Wohnung kamen und leider fiel auch die eine Dusche aus. Vielen Dank für Ihre Nachricht. Wir haben jetzt die Dusche komplett ausgetauscht und jemand geht aus, um das Schloss zu reparieren. Danke für die Rückmeldung. Es hilft uns, wichtige Verbesserungen und Fixes, die manchmal die Reiniger vermissen. Vielen Dank für Ihre großartigen Kommentare. Rental Retreats. We initially booked the apartment for one week,but ended up staying for two weeks due to the Iceland volcano and all three of us felt very lucky to have been able to enjoy the fabulous apartment and Sao Martinho for the extra week. The situation of the apartment within Sao Martinho could not be bettered being within 5 to 10 minutes walking of all the amenities but also situated to benefit from the magnificent views of the bay from two of the bedrooms and both balconies. The apartment itself could not be faulted with all requirements taken care of with a great attention to detail. Sao Martinho has a great selection of restaurants to suit both price and style and if fish is a preferred option then the opportunities are endless. If you have a car there are many restaurants of interest within a 15 minute drive of the town. With our extended stay it did give us an opportunity to explore the surrounding area and with the benefit of the immaculate Portuguese road system distance was not a problem. Areas we visited and would recommend are Nazare,Obidos(both the walled mediaeval town and the lagoon),Fatima , Sintra and Tomar to quote but a few. Many thanks Antony. Over the years Pat and I have stayed in a variety of accommodation around the world but for comfort and ' a feeling of home' your appartment is very high on our ranking list. Thanks again, keep up the high standard you have set and we hope to return. A bela cidade de São Martinho Do Porto é construída em torno de uma bela baía formada naturalmente pelo mar em forma de uma concha perfeita. Tirando o máximo partido da vista da baía surgiram uma série de cafés e restaurantes que oferecem uma variedade diversificada de comidas e bebidas. A maioria dos restaurantes que encontrará serão restaurantes típicos portugueses especializados em marisco. Portugal tem uma excelente tradição no peixe fresco e marisco e tipicamente os pratos são razoavelmente simples, tornando o marisco fresco a atração principal da refeição. O depósito de segurança aumentará para € 300 nas reservas de Natal / Ano Novo, com um mínimo de 7 noites de estadia.